This gift basket of glistening golden goodies is not only beautiful, but it is also an incredibly delicious selection of savory snacks and tempting treats! 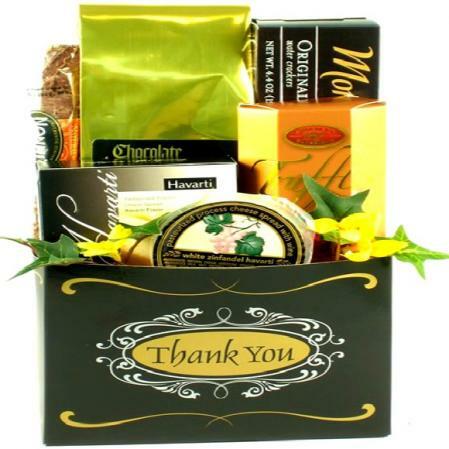 A great gift for the office, family, neighbors, teachers or friends! 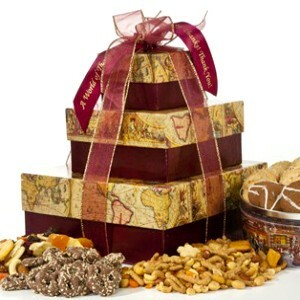 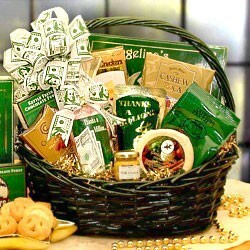 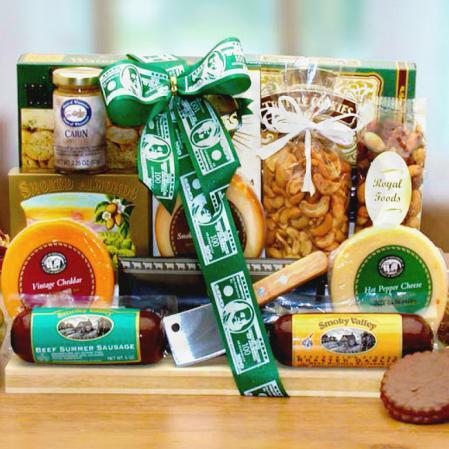 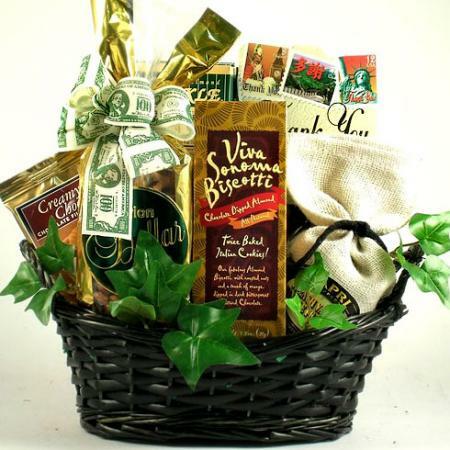 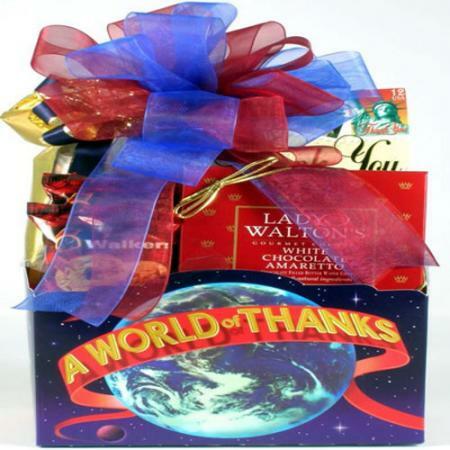 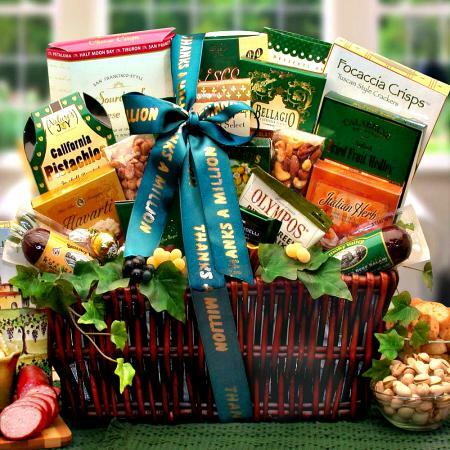 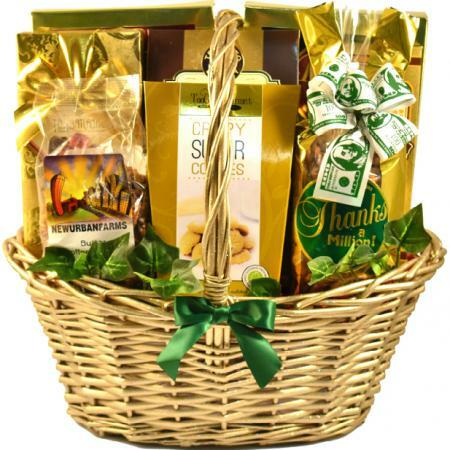 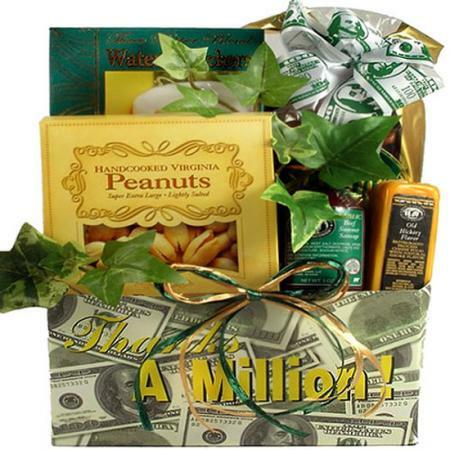 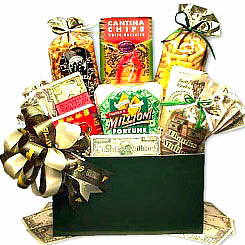 This golden Thank You gift basket is a real joy to explore and taste. 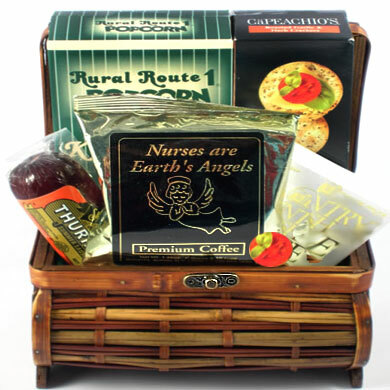 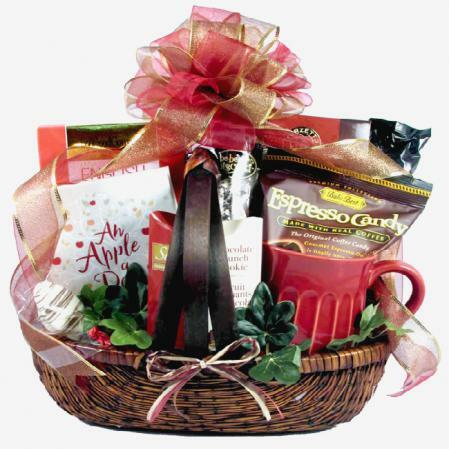 Any fortunate recipient (or recipients) of this basket will appreciate the time you put into finding something so beautiful for them!